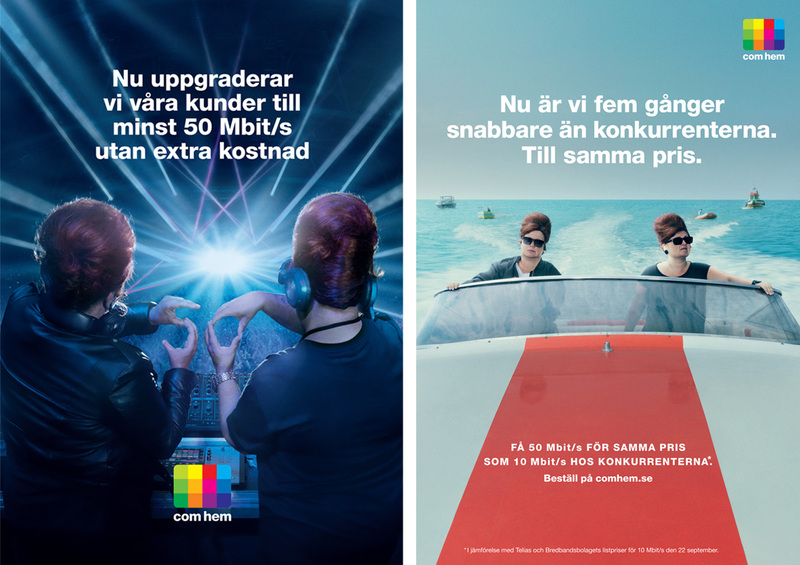 This Summer Advertising agency King asked for our help to produce their latest commercial and stills campaign for Swedish broadband supplier Com Hem. A script that required Com Hem’s famed duo from previous award winning campaigns to this time transform themselves in to Judit and Judit ‘House Duo’. This time to appear on tour in an International setting and with a powerful speedboat to make a grand entrance that would feel at home in Miami. It wasn’t to be Miami sadly but a shoot in Bucharest and on the black sea with hundreds of Rumanian teenage extras filling our sports hall turned Club. Film and stills shot side by side for a genuine synergy effect. Hard to see it was Bucharest we think when you see the final film and stills. Hard to believe that Judit and Judit don’t DJ in their own free time either ! Thanks to King and Com Hem for this production and thanks to the fantastic and newly started Von Film, especially for fixing that outrageous speedboat.